DES MOINES, Iowa (WHO) -- An alert UPS driver is being credited with saving a man and his child from a house fire on Thursday afternoon. Fire officials say UPS driver Jeremy Brandt was on his route when he spotted smoke coming from 1821 Allison Drive. They say Brandt pounded on the door of the home, waking up a man who was sleeping inside along with a young child. "Smoke was coming out of the side of the house and I pulled up and he came out with a baby and I made sure that no one else was in the house," says Brandt, "Just the dog was in there and I held the baby and he opened the gate and let the dog out." The homeowner, the child and the dog all escaped the fire without injury. After everyone made it out Brandt jumped back in his truck and finished his delivery route. The cause of the fire is still under investigation. 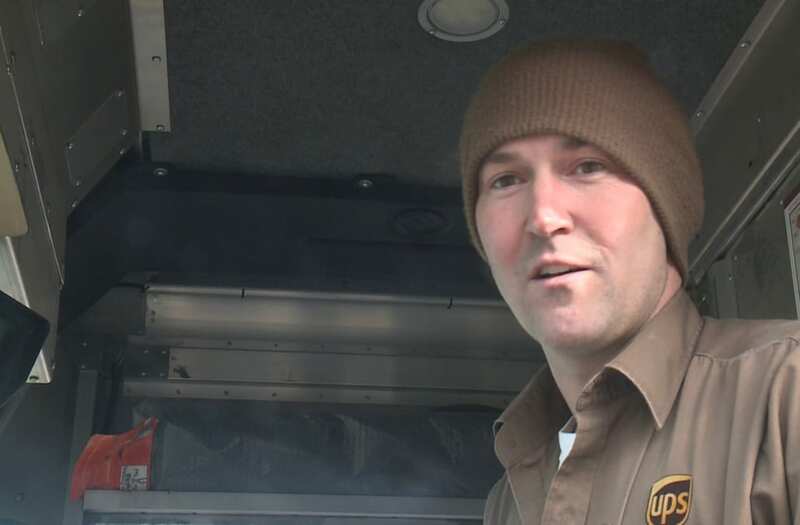 An alert UPS driver is being credited with saving a man and his baby from a house fire in Iowa on Thursday afternoon.